Every year the passenger ferry “Capt. Pete” takes some 50,000 visitors to the Ship Island National Park off the coast of the US state of Mississippi. The ferry is usually followed by curious pelicans and playful dolphins. Ship Island has played an important and often dramatic role in the history of the Gulf Coast – the section of the US coastline which lies along the Gulf of Mexico. A “barrier island” that lies roughly parallel to the coast, the location was named by French settlers in 1699 and became a port for the French Louisiana fleet. Many colonists first set foot on American soil here. 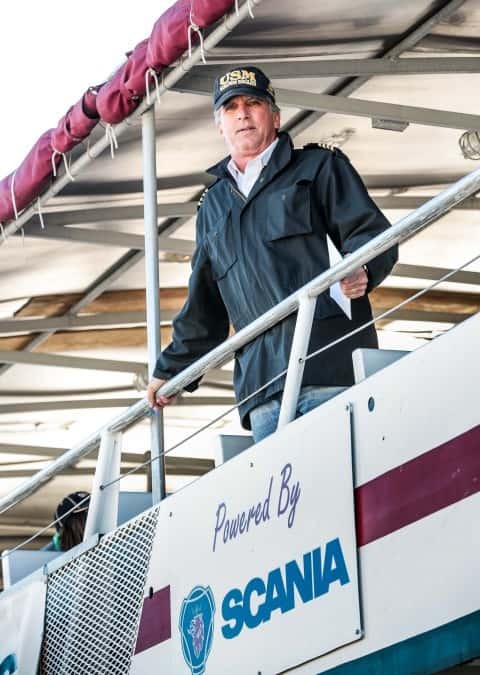 Lewis Skrmetta is the owner of Ship Island Excursions, a company his family started already 1926. Over the years, the island has served as a military base, a prisoner of war camp and a prison. In 1969, Hurricane Camille cut ShipIsland into two separate parts. Croatian immigrant Nicholas Skrmetta started regular tourist excursions to Ship Island in 1926. The business he began has continued through to today, uninterrupted by the great depression, world wars and natural disasters. Nicholas Skrmetta’s grandson Lewis Skrmetta now runs operations. When the company, Ship Island Excursions, needed to change the propulsion in Capt. Pete earlier this year, it looked for a compact but strong engine, with a short delivery time. Lewis Skrmetta says all the traditional American engine manufacturers told him he would have to wait “at least three months”. By contrast, Scania asked “when do you want the engine?”, according to Skrmetta, who heaps praise on Scania U.S.A. and on NREC Power Systems, Scania’s distributor in the southern US states. The passenger ferry “Capt. Pete”. Just 11 days after his discussion with Scania, two Scania V8 engines were in place in the “Capt. Pete” engine room. Tim Pauls, Chief Engineer of “Capt. 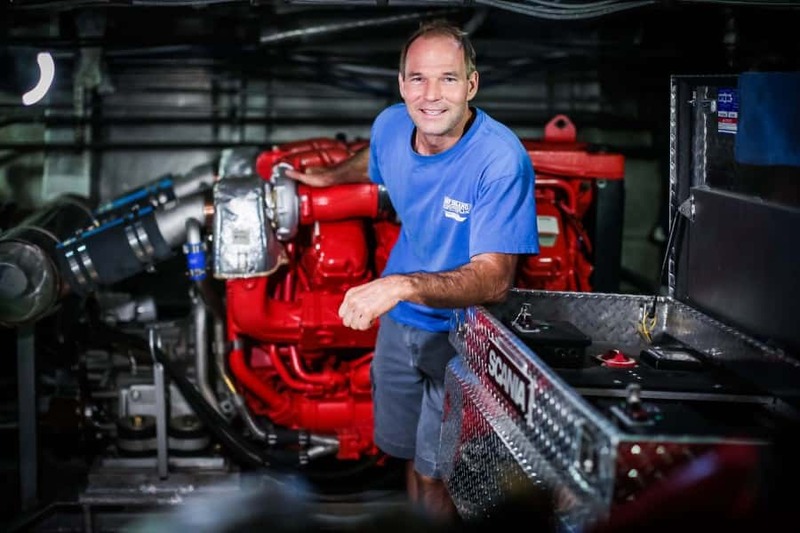 Pete”, believe Scania engines are perfect for the Gulf Coast. At 9 am sharp, the “Capt. Pete” leaves Gulfport harbour on the coast of Mississippi. While the 308 tourists on the middle and upper decks look for dolphins, Pauls proudly shows off his new engine room. The fuel consumption of the new engines came as a pleasant surprise for Pauls, as well as the Skrmetta family. 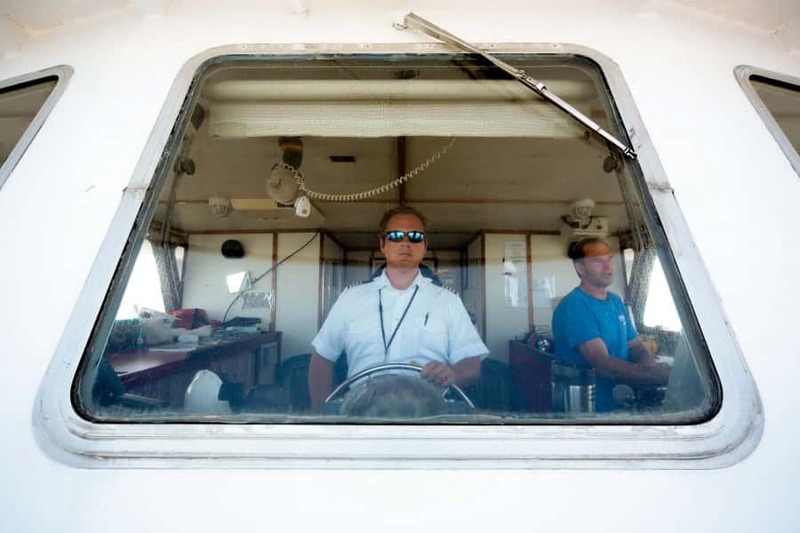 “We operate the boat at the same speed as the previous engine, and only use 50 percent as much fuel. It’s totally incredible,” says Pauls, who sees a major potential market for Scania’s marine engines on the US Gulf Coast. William Buckley, Captain on board, love the Scania engines. From the bridge on the “Capt. Pete”, Captain William Buckley maintains a steady 15.5 knots all the way out to Ship Island. Approaching the chalk-white sandy beach with its well-preserved 19th century fort, he says that the new V8 engines have boosted his pleasant working days in the Gulf of Mexico to a new level. 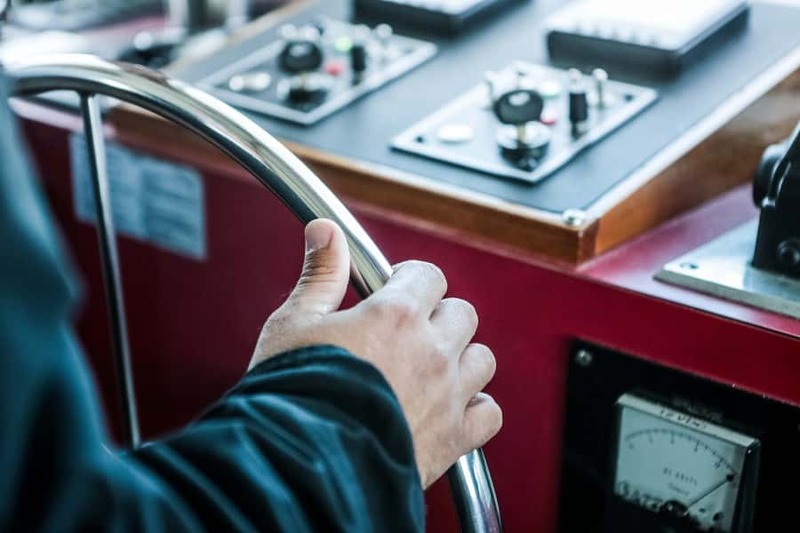 With the new engines, the ferry can manoeuvre in a completely different way than before. Cheerful families from Louisiana and Mississippi – equipped with parasols, cooler bags and fishing rods – take over the otherwise uninhabited island for the day. 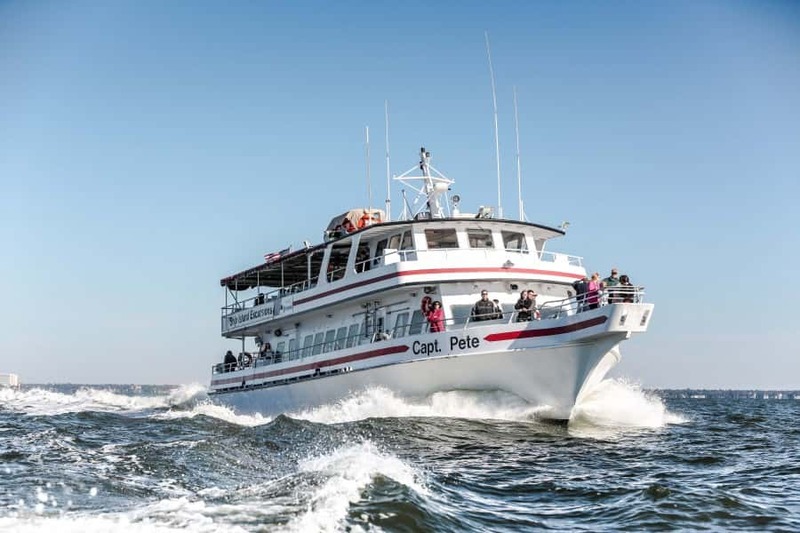 Captain Buckley, Tim Pauls and the rest of the crew return to Gulfport to bring a new set of passengers to one of the most popular attractions on the southern US coast.